Hallmark Go Cards is a Windows 8 Official Hallmark App. It lets you choose from a number of cards, personalize them, and send them to anyone in USA after making a small payment. You can use it to browse through a number of cards available from Hallmark. You can personalize the cards that are available here according to your needs. In addition to that, you can send the cards to someone by mentioning their contact address, and paying a minimal amount. 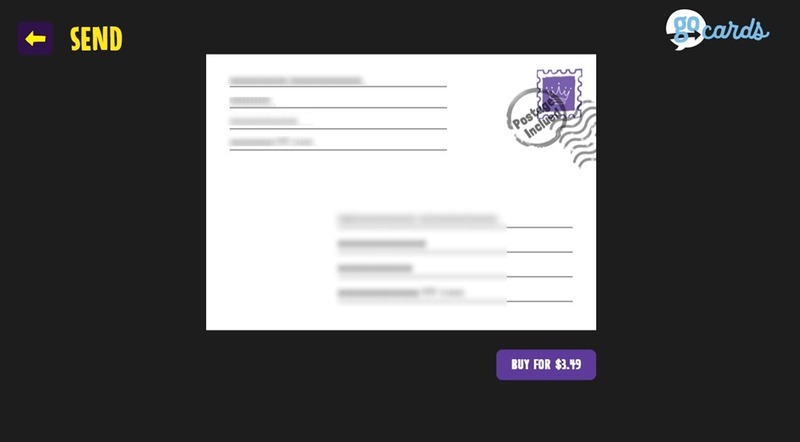 You can send these cards anywhere in America. Hallmark Go Cards is freely available in the Social category of the Windows Store. 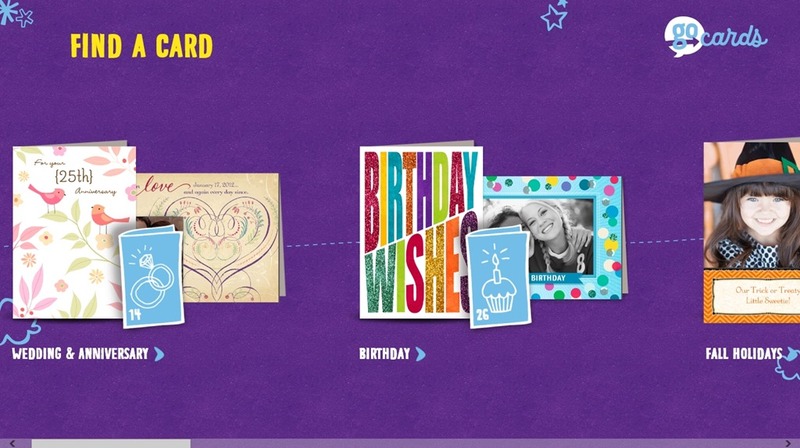 As you land into this free Windows 8 Official Hallmark app, the cards that are available to you for personalizing and sending would appear on the Home screen of the app. Cards are categorized as Thank You, Birthday, Wedding & Anniversary, and many more like that. As you get to any category, all the card templates will be shown to you. 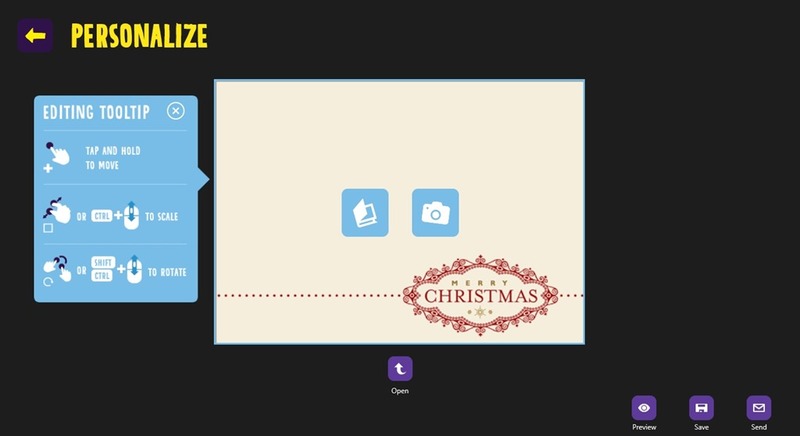 Choose any of the templates available here, and the app will show you all the modifications that you can do with the card. Follow the instructions that are given here, and you can personalize the cards according to your need. You can set pictures from your local storage, or can add photos from your webcam to these cards, can add your own personal messages to the card. After you have made the necessary changes to the card, you can save it in the app itself. You can use it later to make new cards. Apart from that, you can send the cards, as physical card, to anyone in US by specifying their address there, and paying some minimal amount. As you use this option, the app will first ask you to specify your own address, and after that, to specify the recipient’s address. The app can even use your contacts from Facebook, or can import your contacts from the People app that is available by default on your Windows 8 System. This Windows 8 Official Hallmark app is freely available in the Windows Store. You can send cards using this app. A number of templates are available by default in the app, which you can personalize according to your need. You can include photos taken using your capturing devices. Going by my experience, I would like to conclude that this app is a good app for personalizing the cards according as your need. Regarding its ability to send them, I would like to say that you have to try it on your own side to know better. But going with the fact that app is the official app from Hallmark, I can say that this feature also must be good. Do share your experience with us.